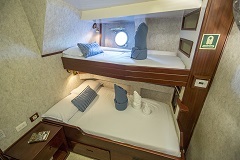 Experience the Galapagos Islands by sail aboard the majestic 3 masted Mary Anne. With almost 1,000 square metres of sails the raise-the-sails moment is an exhilarating experience as you cruise the popular eastern islands of the archipelago. 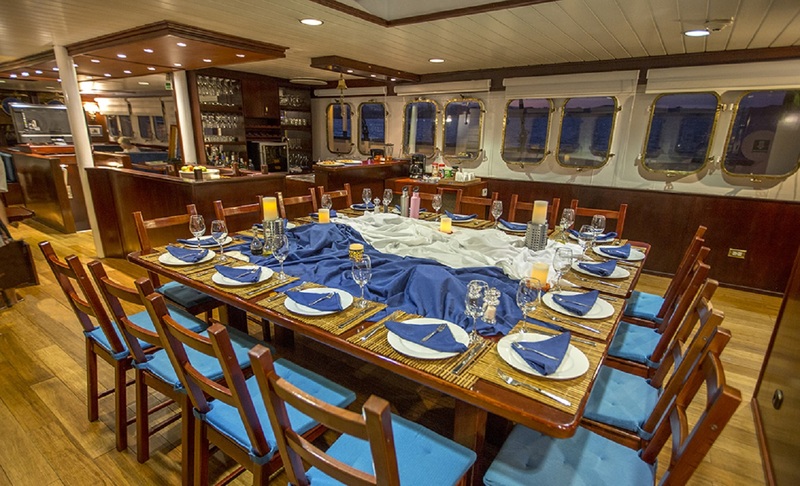 After arriving at Baltra airport we will be greeted by a Angermeyer Cruises representative to then board the Mary Anne and have lunch. After lunch, we will navigate a short distance to Black Turtle Cove, a large mangrove lagoon on the north coast of Santa Cruz Island. Pelicans and herons roost on the branches, while marine dwellers such as Green Sea Turtle or Golden Ray may cruise right next to the panga as it makes its way through the mangroves. 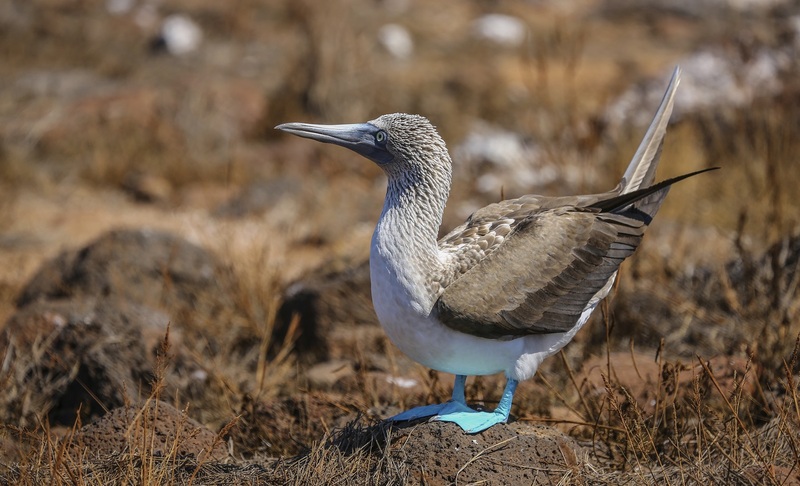 We travel to Genovesa Island and reach Darwin Bay (wet landing), a unique site lined with red mangroves and soft haired prickly pear cacti where red‐footed boobies and great frigatebirds perch tamely. 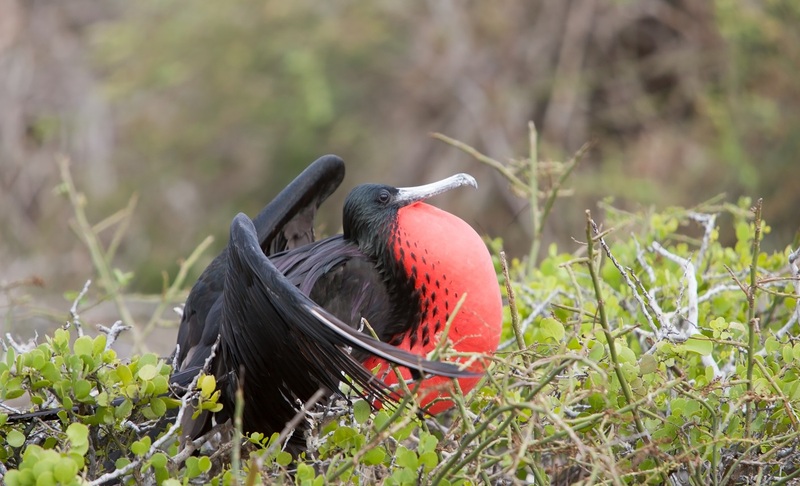 At El Barranco (dry landing), we climb the edge of a cliff where frigatebirds, masked boobies, and red‐footed boobies nest. We will be seeking out the impressive red‐billed tropic bird amidst Galapagos storm petrels. Dry landing at Bartolome to climb up the wooden steps and reach the summit of this spatter cone for a most breathtaking panorama of the island’s well photographed Pinnacle Rock and views of neighbouring Santiago and many other central islands in the distance. island, formed under the sea and raised upward and for this reason it is possible to observe coral heads on the lava. 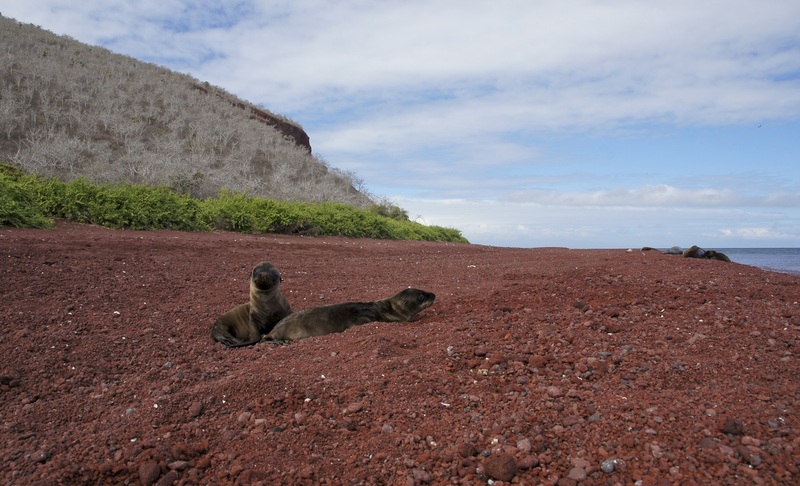 Be amazed by the landscapes covered by sea lions colonies, marine iguanas and Galapagos penguins. Wet landing onto Rabida’s deep‐red beaches to explore the red island’s fascinating interior and saltwater lagoon. Darwin’s finches, Galapagos mockingbirds and yellow warblers feed off the vegetation. 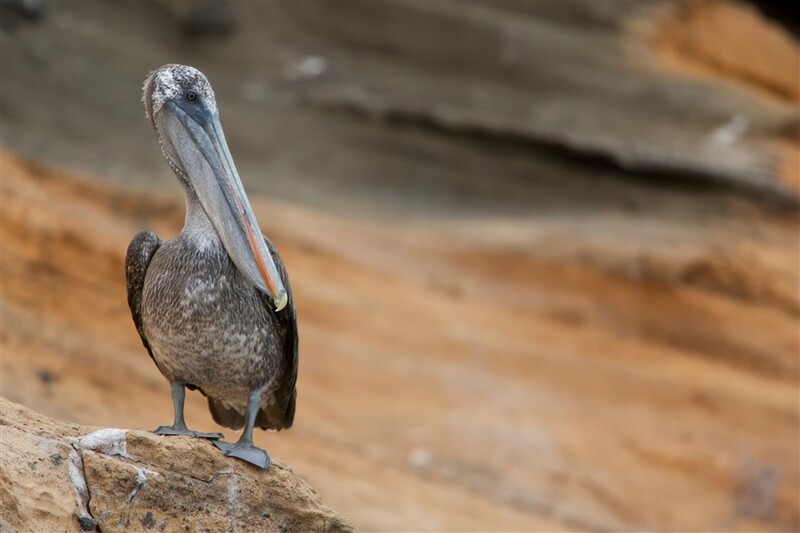 Given the right time of the year we may see brown pelicans nesting on salt bushes that fringe the beach. We will spend this day visiting Santa Cruz Island´s most famous highlights. 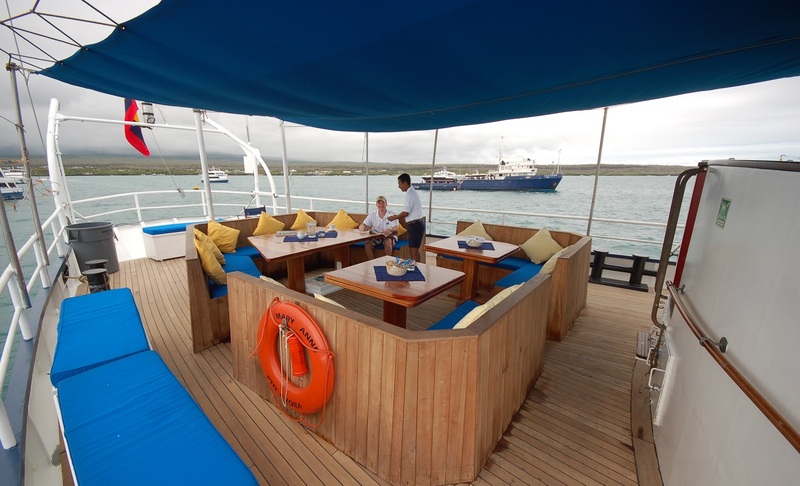 We will have a dry landing at the dock of Puerto Ayora to then board our transportation and head to the island’s highlands. 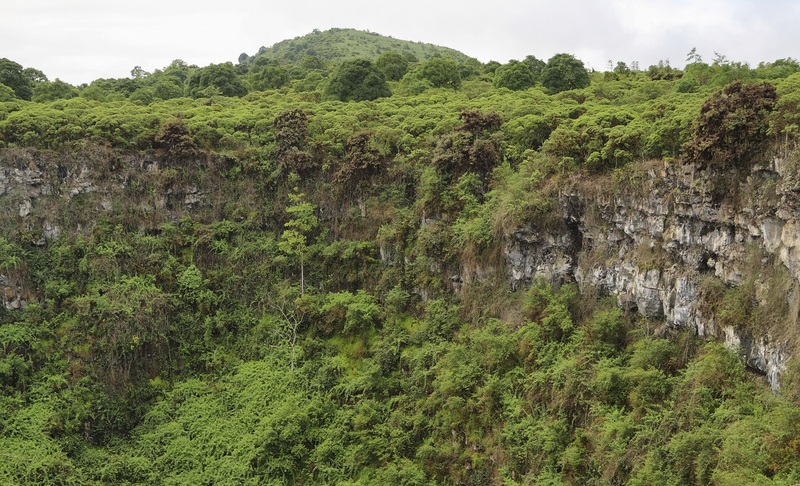 This area, in contrast to the coastal region, has lush vegetation and forest due to the humidity in the higher regions. 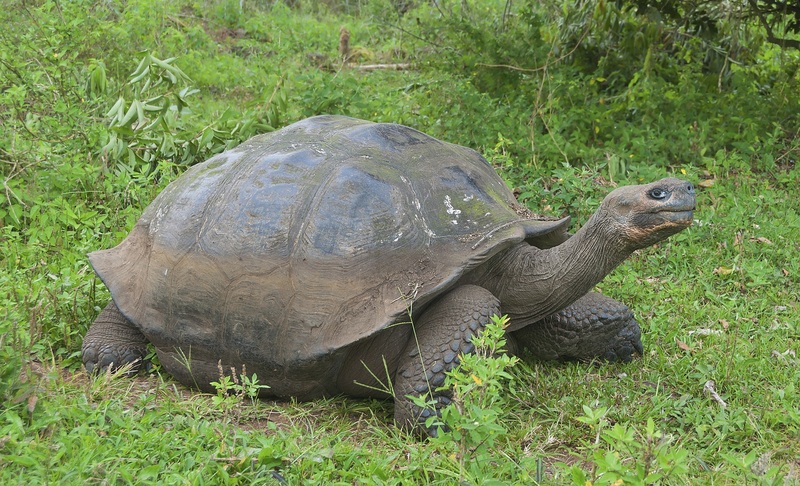 We will visit one of the ranches of the area where it is possible to see giant tortoises in their natural habitat. As these animals migrate from the coastal area to the highlands and back, the chosen ranch will depend on the presence of the tortoises since they roam free and change locations. We will enjoy lunch at the ranch to then head back to Puerto Ayora for our second visit of the day, the Fausto Llerena Tortoise Breeding Center. Here, we will see tortoises from different islands. The animals are found in large semi‐natural pens for their protection, but also to ensure an easy view for the visitors. The pens are divided according to four different stages: eggs, neonates, juveniles (held here until they are mature enough to be "repatriated"), and adults. Dry landing on one of the oldest docks of the archipelago, colorful Plaza Sur is home to vibrant green prickly pears, deep red Sesuvium and coppery‐orange land iguanas. Impressive seaward cliffs are excellent for a variety of coastal birds. This is also a great place to observe the adult and pup sea lions swimming along the shores. After a wet landing onto a white beach where sea lions are usually resting, on Santa Fe, we will be looking for the endemic species of land iguana, larger and yellower than land iguanas on other islands. The largest prickly pear cacti in the Galapagos are also found here. In the morning we will head to Punta Suarez The trail is about 4 km (2 miles) long and the walk takes about 2 hours. A geyser near the trail sprays water some 25 m (75 feet) into the air. 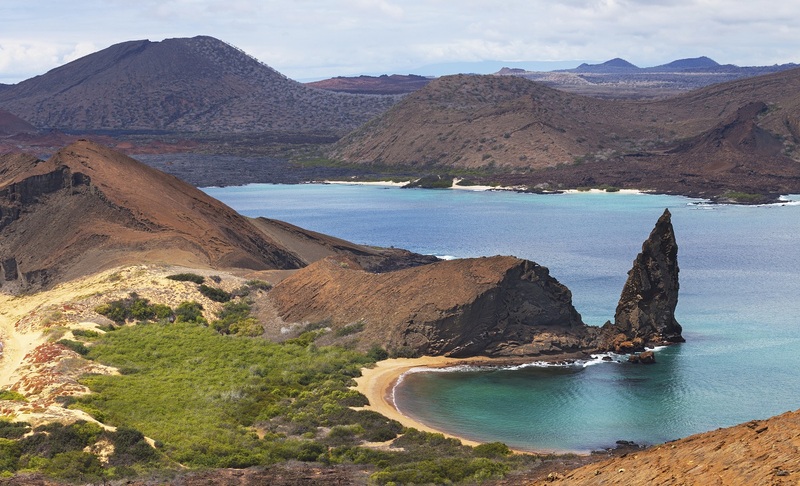 This is one of the most popular landing sites in Galapagos. The highlights include: sea lions near the landing place, sometimes to be seen body‐surfing in the large breakers; large marine iguanas, with red‐coloured males in the breeding season; oystercatchers; blue‐footed and Nazca boobies; Galapagos hawk; Galapagos dove; swallow‐tailed gull; red billed tropicbirds in flight; and three species endemic to Española – waved albatross (present only from April to December), Española mockingbird, and Española lava lizard. 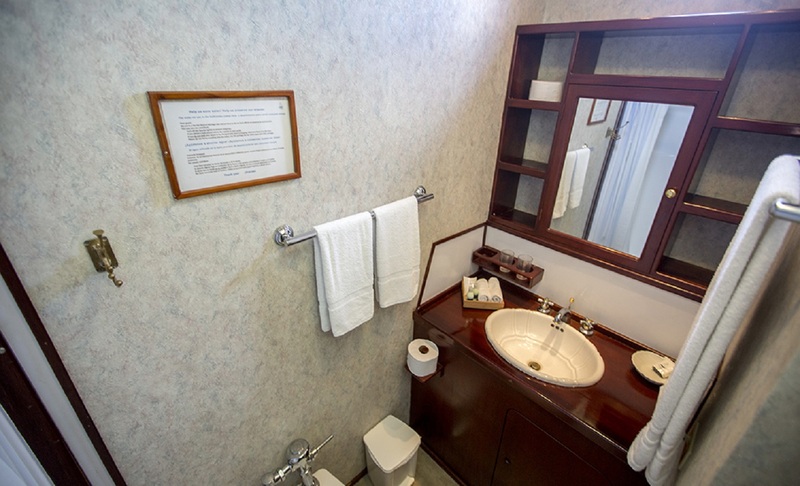 After breakfast, we will disembark in Puerto Ayora to take our transport to the Baltra airport, making a short stop to visit the Twin Craters. The Gemelos (twins) are two deep craters located to the side of the road that leads to Puerto Ayora from the other side of the island. These huge holes were probably created in a volcanic explosion or by magma chambers underneath the island´s surface.